Vickers Tree Radio, hosted by Cynastry, is the creation of Cynthia Vickers. 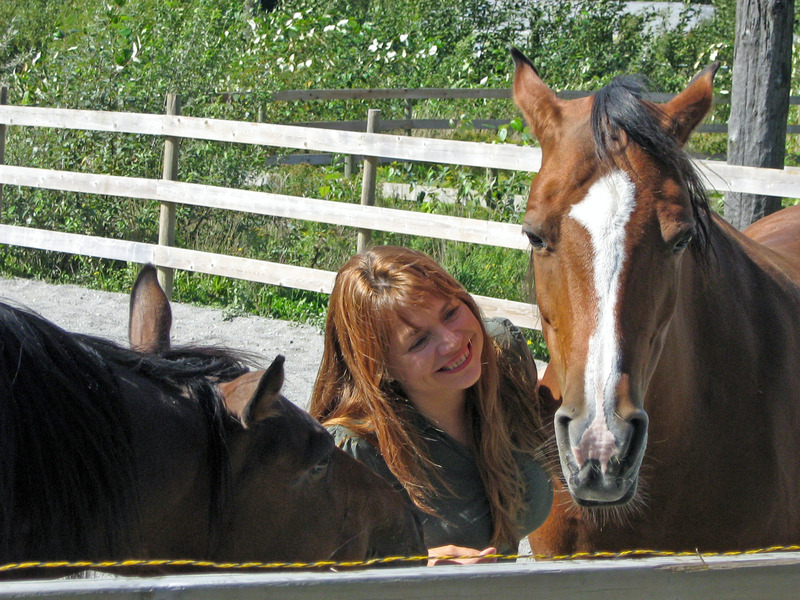 Cynthia’s passion for horses cultivated a lifetime journey in the company of horses. She presently has two of her own at her residence in Alberta, Canada. Since the age of 20, Cynthia has a vision of operating a healing centre where her love of horses could assist others in their healing. As a natural health practitioner it has long been a dream for her to share the work of the healers, personal development authors, alternative health doctors, animal communicators and especially equine facilitated healing teachers to share their information with others. Vickers Tree Radio, a Blogtalk Radio show, is a direct result of Cynastry’s passion for horses, healing and the spiritual realm. Vickers is an ordained minister, shaman, alternative health and metaphysical practitioner. Her animal totem is the horse, which is recognized as a healing, training, coaching medium. The horse totem is often utilized to support one’s understanding of oneself and his or her inherent connection with nature as a means to living a meaningful life. Vickers Tree Radio offers insight into the Shamanic world and work within earth-connected frequencies. As an earth-connected being, Shaman, Cynthia brings forward understanding from nature and our connections to it. Cynthia hosts the show as ‘Cynastry.’ She interviews Shamans, authors, energetic healers, animal communicators, veterinarians, alternative health doctors, teachers, facilitators and visionaries from around the world. Guests on the show share information on their services in supporting one’s pathway to health. The show is broadcast every Wednesday 5p.m. Mountain Standard Time. http://www.sepianc.com/radio Archives are available on the Vickers Tree Radio web page as well as through Itunes. Tune in and join us on a journey of discovery of the natural world!